Companies are shifting from offline to online, and the result of this process influences both relations between businesses and end users as well as between companies. Thus, digital commerce appears in all possible spheres. Of course, B2C ecommerce develops faster than its B2B counterpart, but there are already a lot of ecommerce solutions aimed at digital B2B relations, for example, different marketplaces which work only with companies. And since custom ecommerce adds tons of new opportunities, different B2B ecommerce solutions give rise to dozens new professional ecommerce websites. One of key roles in this process belongs to Magento. 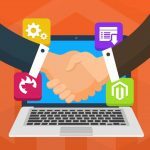 In this post, we have gathered the best B2B Magento extensions and solutions developed to improve the default capabilities of the platform. Despite Magento was a B2B friendly platform out-of-the-box, there still were a lot of vital improvements required for those merchants whose businesses were aimed at other companies. Having installed extensions, previously mentioned in this post, they were able to turn their Magento websites into contemporary B2B platforms. Unfortunately, it was not the most convenient way of getting a proper B2B experience but was the only one available. Since Magento team is always trying to improve the existing platform, a new program has been announced earlier this month. While B2B buying is becoming more B2C-like, the segment gets lots of new requirements, and if an ecommerce website does not offer a dynamically changing set of features, customers will easily move on to competitors who will provide this experience. Luckily, you can prevent your business from losing clients with the Magento B2B Program. The platform now offers a consumer-like B2B experiences combined with flexibility and stability, so you can change any aspect of your work flow according to unique requirements of your clients or company. Moreover, there is a robust set of APIs designed for easy integration with all possible external systems widely used in a B2B segment. get an enterprise-level platform with top notch functionality, performance, extensibility, and flexibility. Magento B2B features include: advanced account management; quick bulk orders; inventory tracking across multiple locations; negotiated pricing terms for each client; ERP integration; mobile support. As you can see, Magento offers a lot for making your B2B store even more user friendly, but this doesn’t mean that you can ignore modules mentioned in this post. Utilize the new opportunity along with existing solutions to get the highest possible business results. You can find more information about the Magento B2B program here. There is no built-in quotation process. Magento is a B2C platform by default, so this feature is unavailable out of the box. But you can always enhance the functionality of your Magento store with the right B2B software solutions. Luckily, there there are such modules as Cart2Quote. 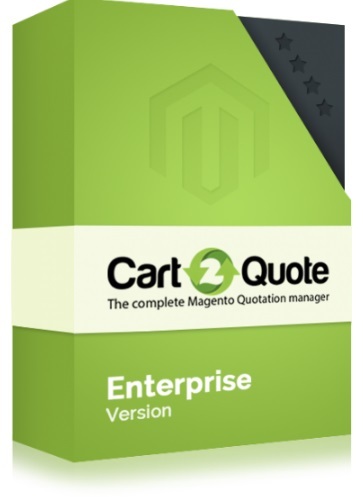 They add the full quotation process to the Magento store, making it more suitable for B2B e-commerce. Purchase after login is another useful feature. Add the missing functionality to your store, and limit the ability of unregistered or unlogged customers to buy something or even to see prices or availability. Pricing per customer is more frequent in B2B than in B2C e-commerce, so this feature is not a part of default Magento, but you can always change the situation with the help of right extensions. Out of the box Magento provides you with the ability to assign prices to customer groups, but it’s not enough. In B2B, pricing arrangements are often made with individual customers. Quick ordering based on product attributes is also impossible on a default Magento store. Usually, a B2B customers know exactly what they are looking for, so you need a form where SKU’s or other product attributes can be entered, placing these products in the cart. ERP integration was always apart from default Magento. But there are a lot of custom e-commerce projects, designed to add the missing functionality. B2C websites are browsed through by end users or ordinary consumers, while B2B e-commerce sites are accessed by contact persons of organizations. As a result a company account should include more information than customer account from B2C store. Financial information, purchase order, payment methods, and order approval process of B2B e-commerce differ from its B2C counterpart and require enhancement. Credit Limit feature is another weak point of Magento out of the box. With the help of this Magento B2B extension, you will easily implement an advanced payment management strategy on your ecommerce website. 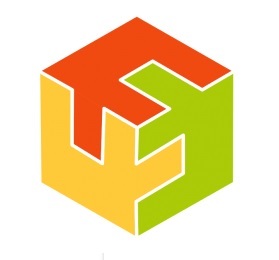 Although the extension is suitable for both B2B and B2C segments, we strongly recommend you to use it in case of B2B relations, since it helps to restrict payment methods on the basis of such parameters as shipping address; customer groups and customer data; product attributes and product information; and store view. It means that certain customers will get data you want to share with them. This helps to improve the productivity of your payment processes. 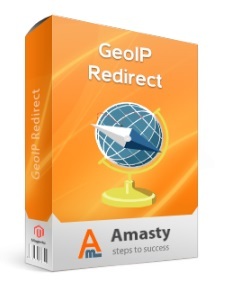 The aforementioned Magento extension is especially useful in a combination with the Amasty Shipping Restrictions module. This tool allows to to restrict shipping methods with the help of various parameters, making shipping on your Magento 2 website legal and cost-effective. First of all, the extension allows you to block certain shipping methods offered by a carrier. Next, you can create restriction on the basis of customer information. Besides, the extension allows you to create regions and specify certain shipping settings for them. Product attributes, customer groups, store views, and order info can be used for the same purpose. Coupon shipping can be managed as well. If you are looking for a tool that will help you get a robust request for quote solution, then you’ve come to the right place. The Cart2Quote extension is designed to save your time as well as make your clients more loyal with flexible price proposals. The module provides the ability to create quote requests via both backend and frontend. So, you can easily negotiate with your clients about prices after they create a request and then edit the request from your Magento admin interface. All product types are supported in Cart2Quote. Besides, the extension allows you to add various discounts and manage your relations; calculate profit, and attach various files. The quoting process can be fully automated and you can easily assign sales reps. In addition to the aforementioned extension, we should also mention the Not2Order module by the same developer. It is a tiny standalone solution that is often used with the Cart2Quote extension. 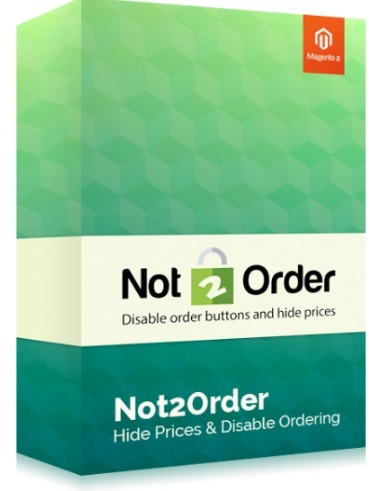 The purpose of the Not2Order Magento module is to hide two core elements of each catalog and product page: “Add to Cart” button and product price. You should only decide what information must be hidden from the frontend. Although this Magento extension has universal B2B/B2C functionality, we should mention it in this post due to several reasons. First of all, it is a great time-saver. By adding the ability to implement bulk actions, you dramatically reduce time and effort necessary for various usual processes related to product management. Next, you make your product grid more flexible solving various tasks without headaches. 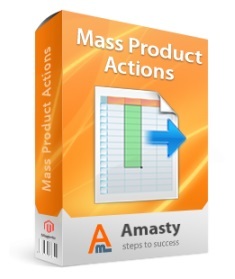 So, what are core features of Amasty Mass Product Actions? It allows you to change prices in bulk utilizing various parameters, manage related products, as well as define cross-sell and upsell parameters. Besides, the extension provides the ability to copy custom options, attributes, and images, run mass delete for products, as well as connect products to each other. This is a very important B2B module designed to monitor needs considering order minimums, possible supply delays, and available shipping methods. Besides, the extension offers barcode scanning and tons of other important features that will significantly improve your backend routine. 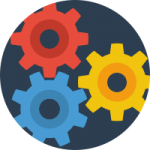 The functionality of Embedded ERP is divided into the following segments: stock management, purchases, order preparation, order tracking, and dashboards. For further information, check our review or go to the official page of the extension. The name of this module speaks for itself. Being developed to simplify your interactions with dealers and representatives, it provides the ability to view and edit assigned customers and their orders. Note that the last can be created via the backend manually. It is also necessary to mention that orders can be assign to various dealers. Besides, you can connect customers with dealers in bulk from the customer grid. If you are a B2B merchant with foreign customers, this Magento extension is a must-have addition for your ecommerce storefront. The tool essentially improves the default user experience by switching store views and currencies automatically according to customer’s location. And you can fully customize the way it works via backend. This Magento extension provides you with the ability to specify individual product custom options to each customer group. You can easily display product custom options by various customer groups, offer unique custom options for each group, set individual custom options for all groups, as well as use different prices for each group. All these features turn Custom Options for Customer Groups in Magento extension. 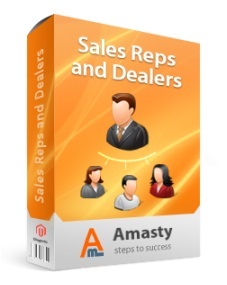 Customer Group Catalog by Amasty is another important addition to every B2B Magento website. With this module, you can manage the visibility of both categories and products by various customer groups. Customer Group Catalog provides the ability to manage product price visibility right on product and category pages. As a result, you can set access to catalog pages according to your B2B needs, hide ‘add to cart’ buttons and price blocks from certain customer groups, replace price with a cms-block, use 404 redirect if necessary, or replace product and category links. We all understand that working in the B2B segment requires more address-related and contact information from each customer. 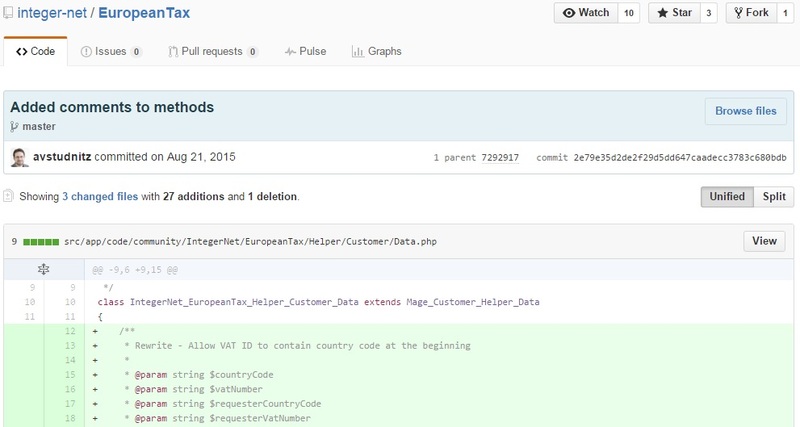 Unfortunately, It is impossible to get all precise data is you use default Magento. 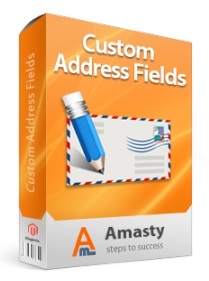 But there is a great opportunity to get the lacking capabilities with the Custom Address Fields module. With this B2B Magento extension (note that it is still suitable for B2C), you will get the the necessary information by creating an unlimited number of additional address fields available on signup and checkout. The extension supports the following field types: text, textarea, dropdown, or multiselect. And it is obvious that B2B ecommerce requires full control over shipping which is absent in out-of-the-box Magento. But you can get it with Shipping Table Rates by Amasty. 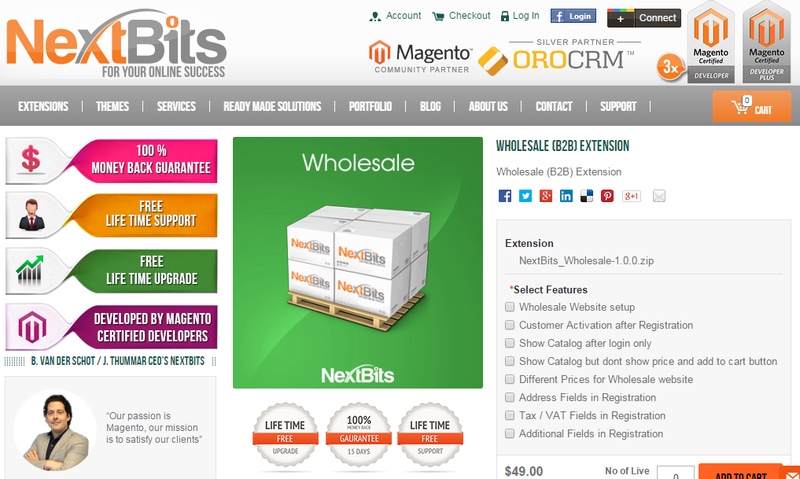 This B2B Magento extension provides the ability to create any number of shipping methods. For instance, you can easily add multiple flat rates or multiple table rates, flat or percent rates to available options. The module supports any combinations of weight, address, price, and quantity for calculating shipping rates. Besides, you can import rates for further manual editing. It is even possible to set rates based on a product type, which is very convenient if you sell extra large or toxic items. Another useful shipping module is Shipping & Payment By Customer Groups. As you might have guessed, it is designed to separate your customers into different groups and provide each group with its own shipping and payment methods. Consequently, customers see only methods assigned to their group, so you can provide certain customer groups with privileges, which often happens in B2B ecommerce. This module is a must have addition to your B2B website if you operate in several countries or regions. The extension defines visitors’ locations automatically and redirects them to relevant information. This functionality is widely used in the B2C segment, but you can also implement it for your B2B business if necessary. 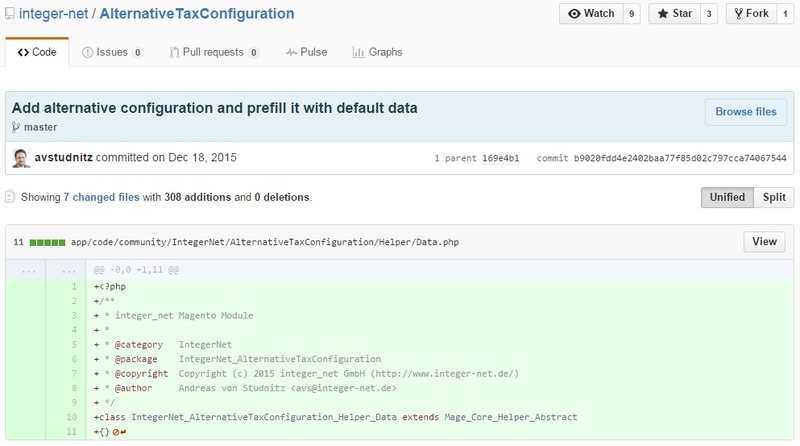 This Free B2B Magento extension adds a second tax configuration for special customer groups. As a result, you can easily display net/gross prices depending on groups of your customers. With this Magento B2B solution, you will be able to calculate taxes independently from customer groups. The B2B extension relies on tax IDs for different customer addresses. 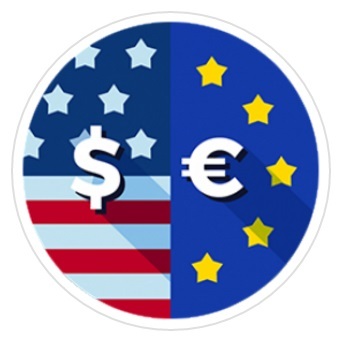 You can get European Tax B2B Magento module for free. This Magento extension adds some new functions to the existing digital store. The new features are essential for every B2B e-commerce website. With this extension, product prices and add-to-cart functions are available for registered customer only. Other product details are visible for all visitors. Besides registration, customer should also be approved by the administrator. Otherwise, product prices and the ability to order products remain unavailable. The same is true to the shopping cart and checkout. Sitewards B2B Professional supports multi-store features. This means that it can be activated for each store separately. The tool was designed for both B2B and B2C Magento websites. 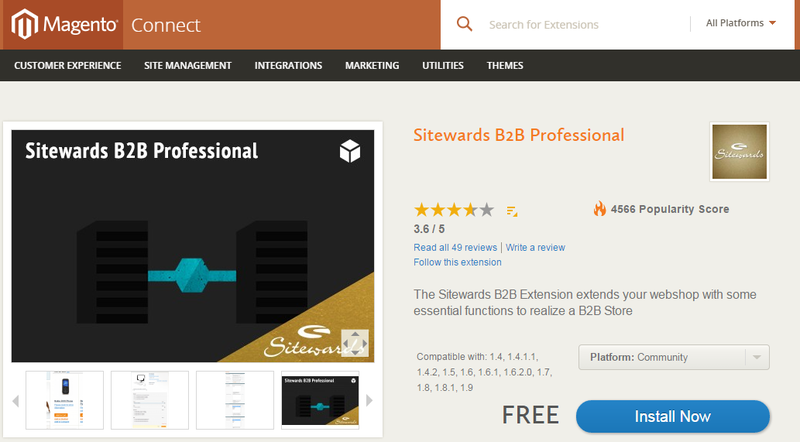 Last but not least is the price – you can download Sitewards B2B Professional for free. With this tool you will be able to set a credit limit amount for every customer. The extension adds a custom payment method (“Pay on account“) to your e-commerce web store. This new method provides the ability to pay using credit. Customers can place an order only if their open orders are not higher than the existing credit limit. Once the limit is exceeded, customers are not able to place any new orders using “Pay on account” method. With Credit Limit Magento extension you will be also able to see all credit limits on your B2B e-commerce store including used and left limits. The extension costs $140. This module allows you to use Magento catalog price rules on specific B2B customers. By installing it, you will be able to build customer specific pricing. This feature is very important, because the individual approach to every customer is among basic aspects of B2B e-commerce. With Customer Price Rules Magento Extension, you will be able not only to set price rules, but also to use all the existing features of catalog price rules on a specific customers. The module works with other B2B extensions. Add true flexible discount rules for 2-tier B2B sales with this extension for $140. This ecommerce software solution provides you with the ability to create an optimized B2B order list. By installing it, you will be also able to set specific category permissions for customers forcing them to login before seeing any pages of Magento store. Build a customer specific catalog and provide certain customer groups with the ability to see the products. Customer specific pricing and advanced discount system are also available with B2B Order list Magento extension. The module costs $281. Use this extension to provide your customers with a quick way to order products by different colors, sizes and other options. This extension adds a matrix order form to the product page. Matrix attributes can be configured by the administrator from the admin panel. With Matrix Ordering, you can choose whether to display new order tabs. It is also possible to set the amount of entries to display horizontally. Different matrix forms are possible for different sets of attributes. Matrix Ordering extension costs $423. 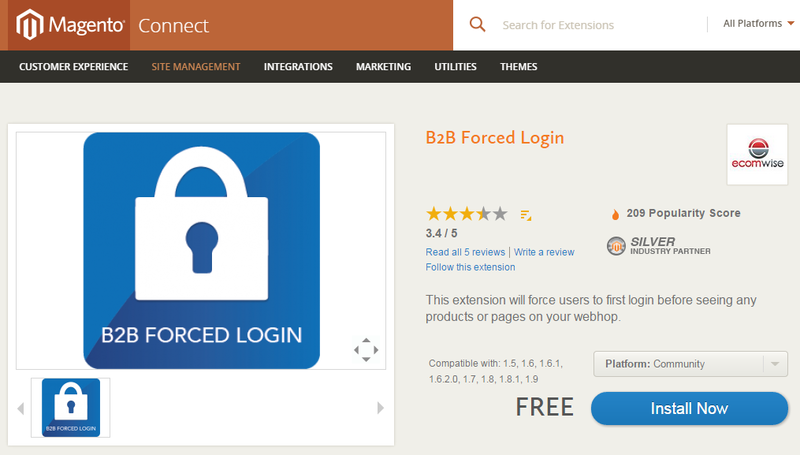 This extension forces users to login before seeing anything on your B2B e-commerce store. You can hide products or even pages with B2B Forced Login. 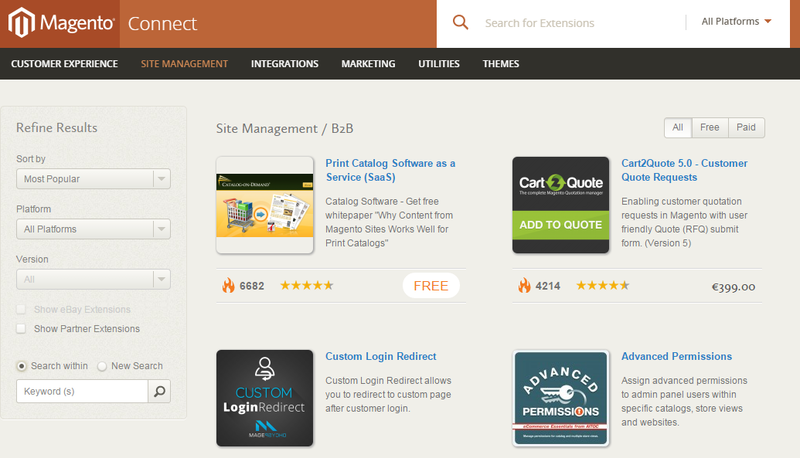 This Magento extension is free. With Wholesale (B2B) Extension you can create a separate wholesale website and specify different prices for the same product on different websites. The extension also supports customer activation after registration and the ability to assign specific customer groups. By installing Wholesale (B2B) Extension, you can also enable such feature as “Show products/categories or price/add to cart button after login.” The module asks for address during registration and adds additional fields such as Tax/VAT to the registration page. For the same e-commerce website Wholesale (B2B) Extension adds group prices and specific customer groups. Customer activation after registration as well as enhanced registration process are also available. This B2B ecommerce solution costs $49. The B2B/Wholesale Suite adds a set of new features to the e-commerce website. It enhances the existing abilities by adding a wholesale experience to the Magento store. The suite provides controlled wholesale login page, which prevents users without approved access to see the website or its elements. It adds customizable wholesale application form: admins get notification for every new application, and applicants are notified after the approval. B2B/Wholesale Suite also supports customer groups. Another useful feature is searching by name or SKU. Instead of endless browsing, customers get a user friendly search options. With B2B Suite, you also add Previously Ordered page to your e-commerce store. As a result, wholesalers can view and reorder products from specific time periods. In addition, every customer gets all your products and his current inventory levels on the same page. For the products that need to be configured before ordering, wholesalers can specify the details through a popup window. A message can notify customers about new information or limited availability. Additional product information is available instantly. Moreover, wholesalers can download product files, if such are provided. B2B/Wholesale Suite starts at $3,500. Hi the below link for the additional information. Webkul Store is famous for its B2C marketplace software. This time the company presents similar B2B ecommerce solution. The module adds a separate login and sign-up for retailer/wholesaler to your Magento store. It supports mass upload of products from dashboard or retailer profile. Product is added to the global catalog after retailer uploads it with the help of CSV. Magento B2B Marketplace by Webkul Store is also convenient for the marketplace owners, because it prevents communication between retailers and buyers – everything is driven by admin end. Thus, there are such features as admin commission and communication panel for admins and retailers. Retailer groups, custom attributes and other custom options are also available with Magento B2B Marketplace by Webkul Store. The solution costs $499. Magento B2B agency Airbytes doesn’t have a complex solution, but it provides all necessary B2B e-commerce features in a form of separate extensions. Customer ID, Product fee, Price system, Customer documents, Sales staff, Payment profiles, Sub logins/ accounts, Business registration and other useful e-commerce store software are available at mageb2b.de. Enterprise ecommerce software of Zeon Solutions includes more than 200 Magento implementations, about 40% of them have been done for B2B companies. The flexibility and scalability of Magento allows Zeon Solutions to extend the default platform for B2B e-commerce needs. Combining experience with the right integrations and configuration, the company provides quick-to-market, cost effective and powerful B2B e-commerce software solutions for everyone. Hit the below link for the additional information. Talking about Magento extensions, we should also mention Magento Connect. This extensions marketplace has all the necessary tools. Some of them are free, while the others cost money. The functionality of existing extensions is broad. 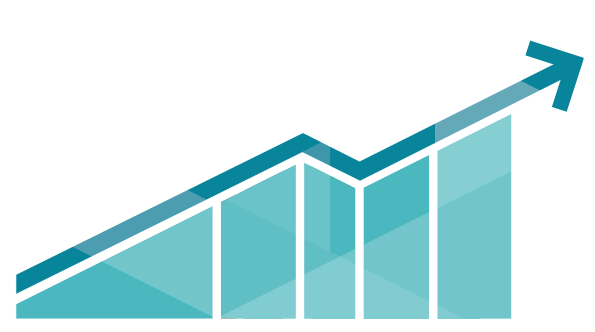 You can find everything from SEO tools to complex marketing campaigns solutions. There are also B2B extensions at Magento Connect. Saas, customer quotation, login redirect, advanced permissions and other useful e-commerce software solutions are available for your B2B website. If a B2B Magento website is among your ecommerce plans, first of all you should visit Magento Connect.